Revlon have so many amazing lip products and one of my favourite are their lip butters. They are great for rejuvenating your lips and helping to get rid of dryness. 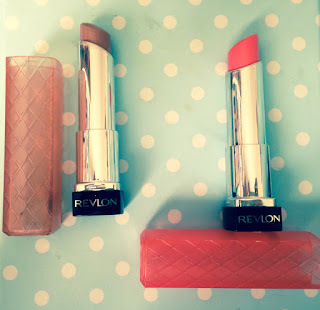 Since using Revlon Colorburst Lip Butter my lips are definitely softer and hydrated, another bonus is that they come in so many different beautiful colours for all skin tones!! 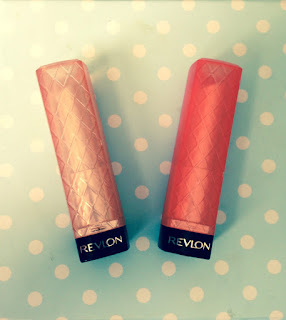 I would definitely recommend these to a friend, they are a must have in your make-up bag! The two colours I have are 'Juicy Papaya' and 'Crème Brulee' and they are amazing! Both are completely different shades, 'Juicy Papaya' is a lovely coral tone which is perfect for this summer weather and adds brightness to my face. 'Crème Brulee' is a more discreet and subtle shade, but gives some colour nonetheless. I really want to try 'Pink Truffle', 'Candy Apple' 'Peach Parfait' and 'Berry Smoothie'. They are next on my make-up list and the colours look amazing.